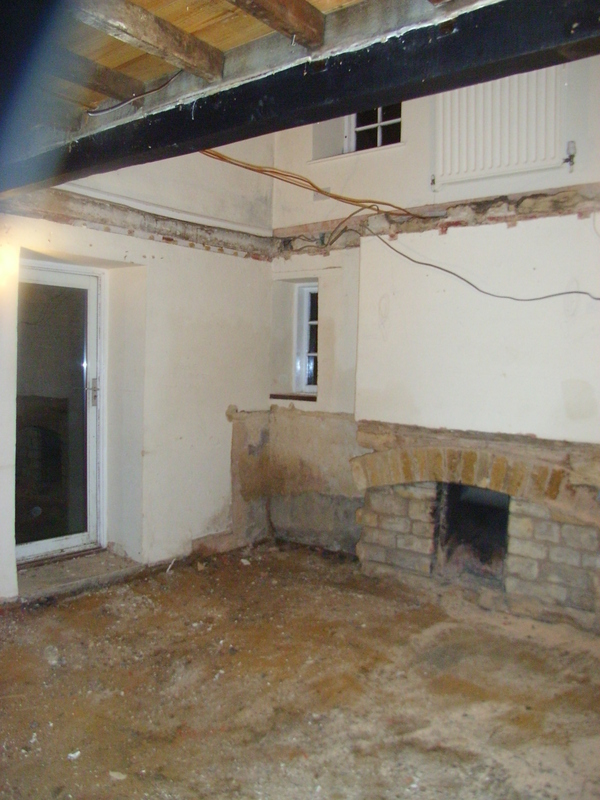 Home / My Rutland Life / Renovation or Re-build? As many people before me have discovered, when you start messing about with an old property, the more you ‘peel back’ the more problems you find. Under the carpet and underlay upstairs, we found hardboard nailed down on top of the old floorboards. In the main bedroom, under said hardboard, the builder found an interesting patchwork of ‘new timber’ (circa 1970) laid in the opposite direction to the boards themselves. This patchwork filled a significant dip. 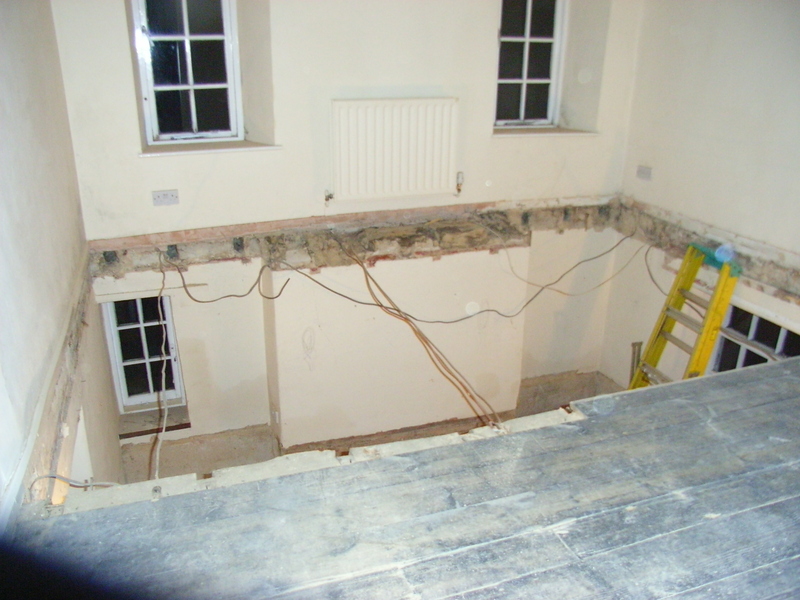 And when removed, we discovered the patchwork had been hiding … snapped joists and worm-eaten floorboards that were no longer attached to anything! Essentially, the patchwork of timber and the hardboard had been holding the floorboards UP, and just about stopping the previous occupants from falling through to the living room below. The lovely, wide old floorboards were as brittle as Weetabix and 80 per cent of them were beyond help. So I have to say farewell to the idea of sanding down these originals – they all have to go and be replaced with new timber – the bank balance won’t run to reclaimed boards. the living room, now a double-height space!